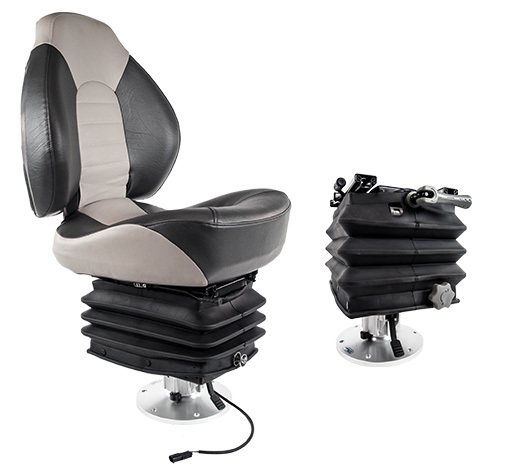 Shock absorbing boat seat suspension for maximum comfort. Wave goodbye to discomfort caused by a day out on choppy waters. Choose between the Smooth Moves Ultra with its four springs and hydraulic shock or the hand pump-free Smooth Moves Air. Adjusts quickly and easily for individual passenger weight. Includes a slide that allows for up to 6 inches of fore and aft adjustments. Provides the comfort of air ride boat seats at a competitive price. Are sea water resistant and extremely durable. You can install a Smooth Moves shock absorbing boat seat suspension in most boats with simple hand tools in 30 minutes or less. 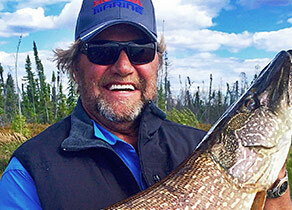 Al Lindner ranks among the most renowned leaders in the fishing industry. 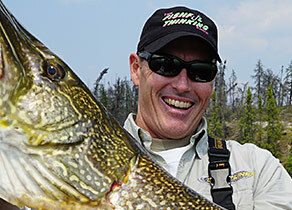 As the host of ‘Lindner’s Angling Edge’ and ‘Fishing Edge’ television series, he remains immensely popular as one of the best-recognized angling authorities in North America. 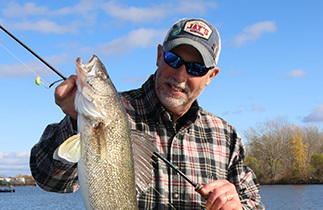 Boaters deserve — and are demanding — a smooth, comfortable ride from their boats. A shock absorbing boat seat suspension system from Smooth Moves ensures they will be able to enjoy their boats for many years to come.